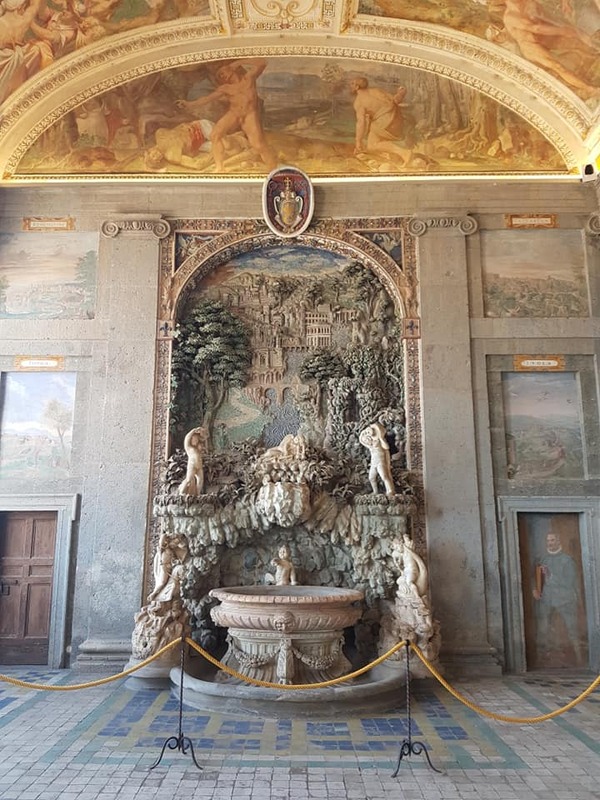 Villa Farnese is an interesting example of an Italian styled garden which varies significantly from British ideas of gardening. RBGE has a wide collection of plants, plant labels and flowers, using contrasting colours and ensuring the plants remain the focus of the garden’s structure. 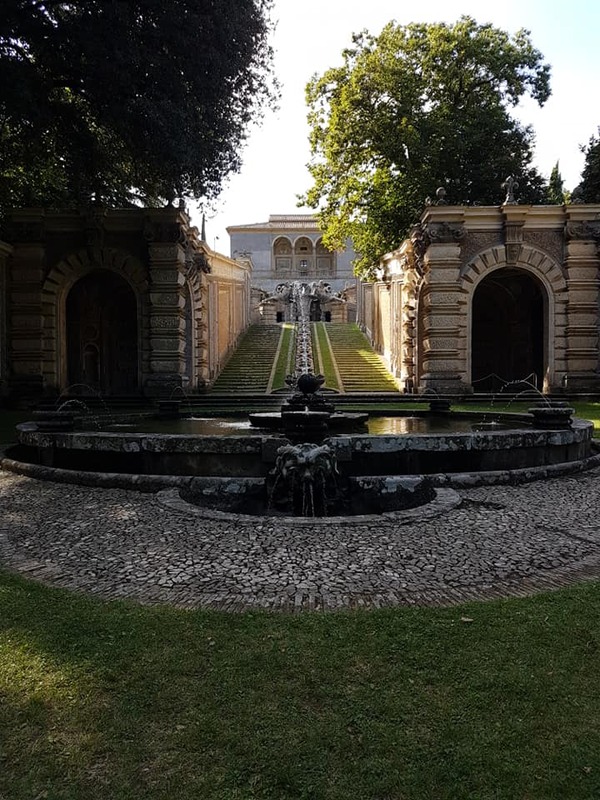 In comparison, Italian gardens utilise other aspects of composition like sculptures, statues, religious connotations, artwork, and the views of the surrounding mountains. 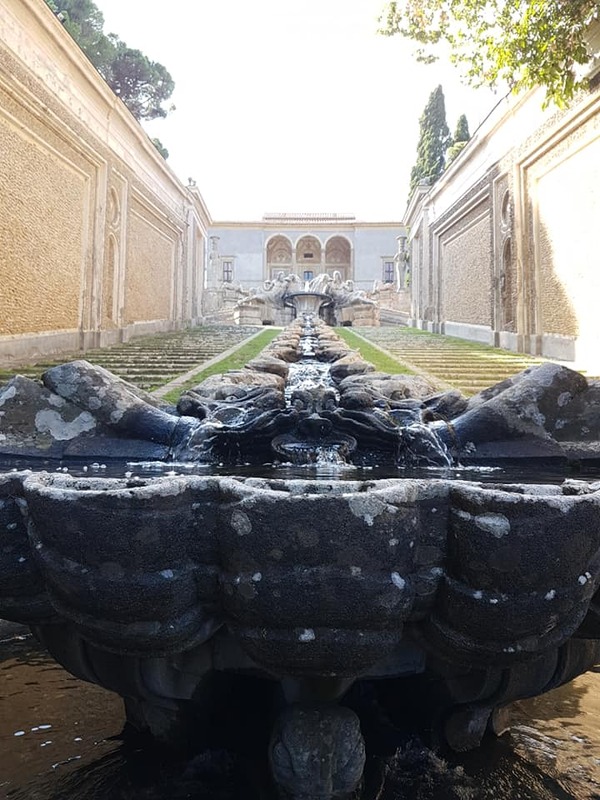 Italian renaissance gardens use green plant life to contrast with ancient grey statues alongside the flowing waters of fountains. Historical evidence proves flowering plants were used in earlier centuries but, due to the gardens being neglected for years, it was the geometric shrubs which remained, therefore explaining why the gardens remain so green today. The villa is filled with fifteenth century religious allegory in art work. 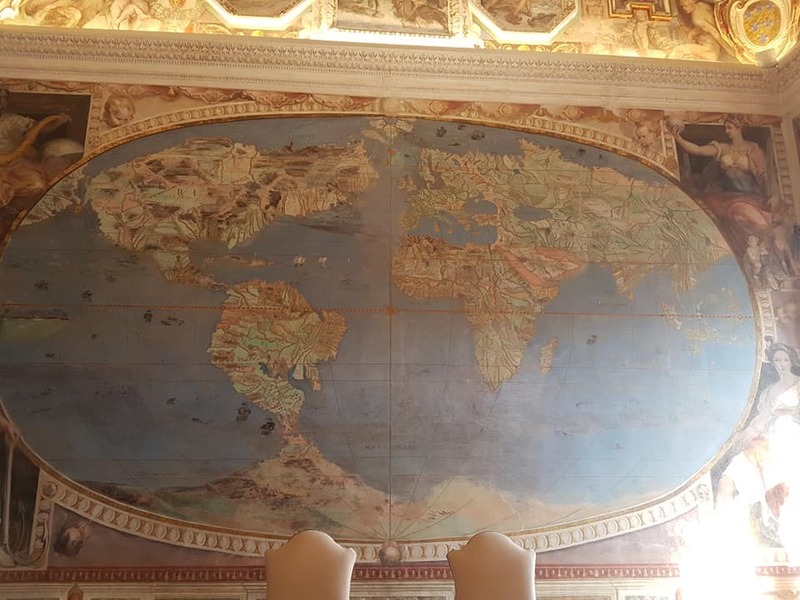 This is shown through the presence of frescoes (a form of mural painting) which covers the walls and ceilings in every room of this large manor. The map of the world was especially fascinating and I enjoyed immersing myself in its details. The humility in being able to look at something that someone 300 years before you has created is astounding. One can’t help but be grateful that it has managed to persist through time. Who else has seen this? Did it look different when they created it? I wonder what they would think of the world now. It is easy for the mind to wander. Walking out into the garden from the first floor bridge of the villa, you see the grotto from a distance. 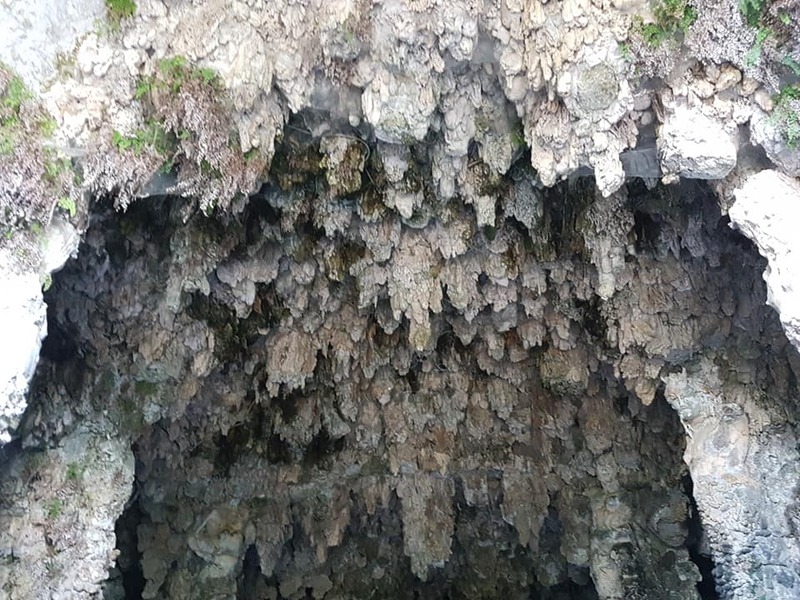 These natural or artificial limestone caves are famous in Italy and France as garden features. Reclaimed by nature, ferns find homes in the crevices of the stone. 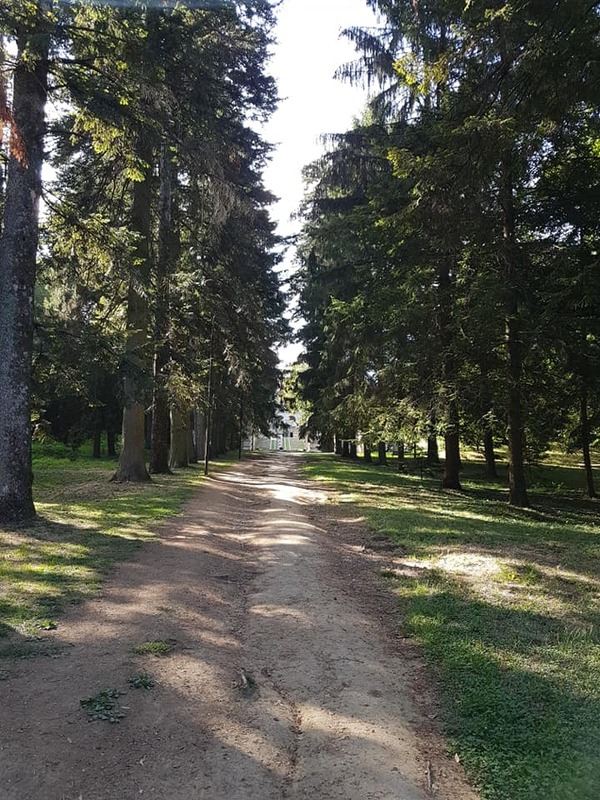 A woodland trail of old Cupressus sempervirens, Castanea sativa and Picea abies guides you towards the beginning of the show piece, a large fountain which invites you into the formal part of the garden. Grass covered stairs lead you up as water tumbles down the lichen wrapped stone corden. Fontana Del Bicchiere (or ‘Cup Fountain’) progresses to the ‘Caryatids’ in the upper part of the garden, complete with parterres. The Casina Del Piacere – ‘lodge of pleasure’ – is now a casino.